Classic Black is four beautiful layers of real fondant, in a natural white color, with hand designed detail added to each tier, making this a classic beauty! Each tier is covered in real fondant with two of the tiers quilted and pearls set in the indentations. Classic swirls are detailed on the opposite two tiers. 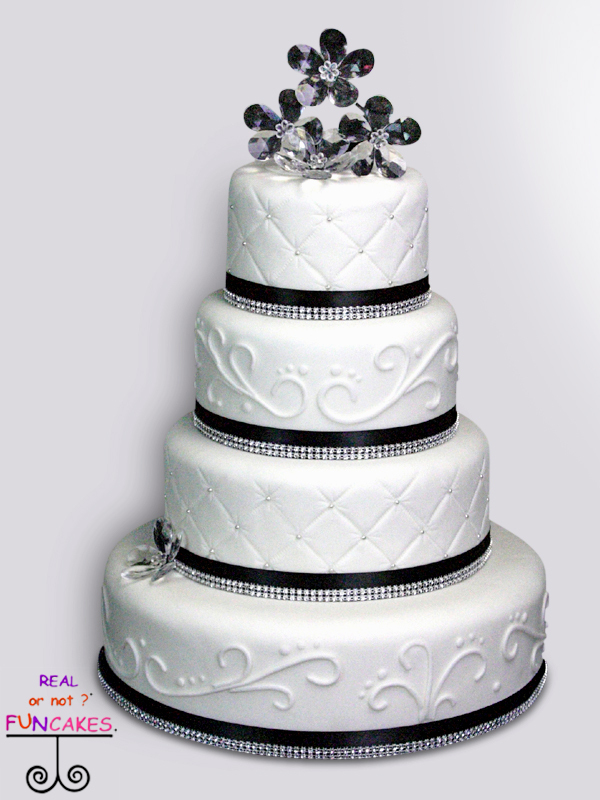 A real black ribbon with a bling ribbon in front finishes off the bottom of each tier. The black ribbon can be switched out to match your wedding perfectly, just let us know! Flower topper is not included.